Do you love coffee and can’t live without it? Or do you avoid coffee like the plague because it makes you jittery and anxious? 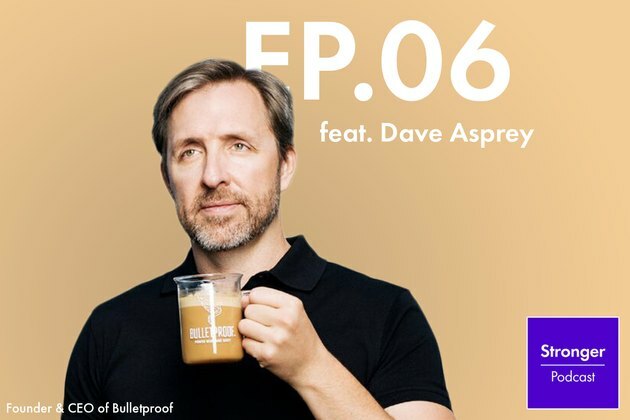 According to Bulletproof founder and CEO Dave Asprey, those jitters aren’t necessarily the result of caffeine consumption. On this week’s episode of the Stronger podcast, Asprey explains that this all-to-familiar anxious feeling could very well be a result of the mold toxins that are present in the coffee you’re drinking. Asprey quit coffee for five years because he felt, in his words, “like an angry zombie who wanted more sugar” whenever he drank it. But the Bulletproof founder was determined to figure out a way that he could continue drinking coffee without experiencing adverse side effects. He went on to develop what he calls “clean coffee,” devoid of mold toxins that can develop during coffee processing, and now he is back to drinking coffee every single day and loving it. In our conversation with Asprey, we explore what each component of coffee — from polyphenols to caffeine — is doing to our health and our brains. We talk about how Bulletproof Coffee, or coffee combined with butter and Brain Octane Oil (a supercharged variety of MCT oil), can raise your level of ketones and help in intermittent fasting. We discuss the best time of day to drink coffee, what it means to be a slow metabolizer of caffeine, why the rituals surrounding coffee are important and so much more. Listen to Your Brain on Coffee to hear what Asprey has to say — and visit Thrive Market for all your clean food, wine and coffee needs. But don't stop there, also be sure to check out Asprey's book Game Changers, based off interviews from his own podcast_,_ Bulletproof Radio. You can also read some of the highlights from our interview with Asprey about what coffee does to our brains, below. Coffee has a bunch of different affects on your brain. Probably the most well known is caffeine, but caffeine is one of thousands of compounds that's actually found in coffee. One of the most interesting parts of coffee that affects the brain are called polyphenols. Polyphenols are the colored compounds found in herbs, spices, brightly colored fruits, and vegetables and one of the reasons eating your vegetables is good for you. It turns out, coffee is the number one source of polyphenols in the diet, at least in most western nations. Polyphenols affect the brain because polyphenols help cells in the brain make more energy. On top of that, there's caffeine. It stimulates our central nervous system, along with chlorogenic acid, which is another kind of polyphenol, that scientists think helps with blood sugar metabolism and possibly high blood pressure. Two other compounds that are my favorites: cafestol and kahweol. These are coffee oils, and when you use coffee with a metal filter, these compounds go into the body and may be good for your liver. Some studies say they may even protect against cancer and turn down inflammation in your brain. Is Coffee Addictive? And If So, Why and How? Certainly, people who study addiction will say its physiologically addictive, which means that your cells adjust to having it or not having it after about three days. If you are used to drinking a high amount of coffee, and you quit, you probably wouldn't feel very good. After three days, any residual cravings are simply that — they're cravings, they're not biological. I would say coffee is mildly addictive. And you're talking about three days, according to most of the studies out there, of when you might not feel as well. If you want to quit coffee — I don't know why you'd want to, given all the studies that show it's a really good thing if you want to live a long time — but if you did decide to quit coffee, taper off. Use half decaf and then two-thirds decaf, etc. There is something else in coffee that really does affect your brain and the addictiveness of coffee. When coffee is processed, before it's even roasted, there's something called mold toxin or mycotoxin. And this forms because most coffee is allowed to sit in big vats of water that are usually made out of cement and the water is not filtered. And it sits for two days and starts to ferment and spoil, depending on what's in the water. This forms some psychoactive chemicals and things that are bad for your kidney, your bladder, your DNA and for your brain. These toxins are well understood in agriculture. They're regulated by almost every country on the planet except the US and Canada. 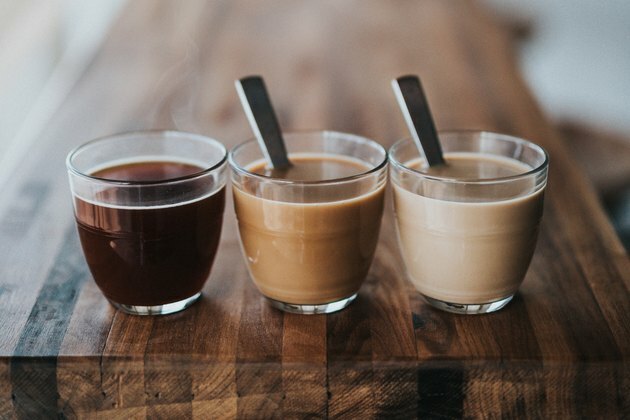 And if you drink these things in your coffee (they do survive roasting and brewing according to 34 different studies on my website), you end up getting that jittery, cranky, anxiety feeling that happens when you drink some coffee but not other coffee. I know about this because I had to quit coffee for five years because it made me feel like an angry zombie who wanted more sugar. When I fixed the problem by making clean coffee, I felt different. So when you talk about what coffee does to your brain, coffee that's not free of these mold toxins, is going to make you jittery and cranky and is going to make you crave more coffee. So I drink less coffee now, now that I drink clean coffee, but it took a bit of engineering to make it happen. And it's really worth knowing that the coffee rage that you can get is not from caffeine but rather, from the toxins. What Is It About the Combination of Coffee and Fat That Keeps Us Satiated? If you have carbs for breakfast, you should expect to be hungry because you wake up, your blood sugar goes up, and then it crashes. And then you want more food. I've had the same problem. But if you went for a full, bulletproof coffee which is made up of lab-tested beans, an oil called Brain Octane Oil and grass-fed butter, you'd have a different effect than heavy cream. I love heavy cream in coffee but it doesn't have the same cognitive effects. The other things that happen when you use Brain Octane Oil, a flavorless oil derived from coconut that raises your level of ketones (fat-burning molecules in your body), is two hormones, in your body, shift dramatically. The first one is called ghrelin—the hormone that gives you hunger and cravings. If you eat carbs, your ghrelin levels are going to go up and you're going to get cravings. When you have ketones present, ghrelin drops, so it turns off the cravings signal. The other hormone is called CCK, which is the hormone that makes you feel full. This hormone goes up when you have a very low level of ketones present. When you put a teaspoon or two of Brain Octane Oil in your coffee, your ketone levels change, then your hunger hormones change, and you simply don't care about the bagels, cookies, or the donuts they are putting in front of you at the office. They've lost their siren call. To learn more about what coffee does to your brain, listen to the full episode here. Does Coffee or Caffeine Interfere With Thyroid Function?